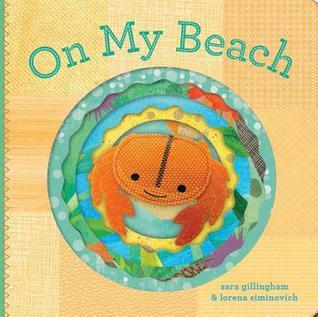 Baby crab goes on a small adventure in his home environment with descriptions of his actions and other items in the environment. The ending comes somewhat abruptly in which baby crab joins crab family for a nap. However, the illustrations are textured and layered to depict the various images of an ocean environment. Several opportunities for new word introductions and act-along potential. As far as board books go, this author is great. Kudos Gillingham. I think board books when they are reviewed, get stiffed because they are so simple. But these are great tools for pre-literature children and improve greatly early literacy skills in a multitude of methodology. The finger puppets are darling, and sturdy, making this purchase really a bang for you buck. These books are simple glimpses into ecosystems and the habits of animals, while still being great bed time reads. Excellent visual aid for those types of learners, and the series show layers and depth through cutouts, adorable simple illustrations with a color palette that is accurate (Pastels for spring) with tactile aid (touching the puppet), as well as the ability for the child to hone fine motor skills and practice oral repetition by in turn reading the parent the book. Excellent board book series. There are board books, and then there are board books such as this one that not only have layers that decrease in size as readers flip each page but also have a tiny orange crab that is perfect as a finger puppet. The crab doesn't mind taking risks with its friends and exploring their beach. After all, the baby crab always has a home and someone to come back to at the end of its adventures. And yes, I tried out the finger puppet several times--and it works wonderfully in allowing the crab to take on a personality of its own. Alas, where were books like this one when I was growing up? I think this is why I became an English teacher. This is the second in this series I've now come across after first finding the Dolphin book. I love the finger puppet however the crab really wasn't as adaptable as the dolphin was in my opinion. Not quite sure aside from that why the dolphin book stood out so much better than the crab, but this one just didn't quite grab me the same with as many elements to utilise in story telling for my son. One of the finest interactive board books I've seen--the text works, the illustrations are fantastic, and the built-in puppet makes sense. Adorable.